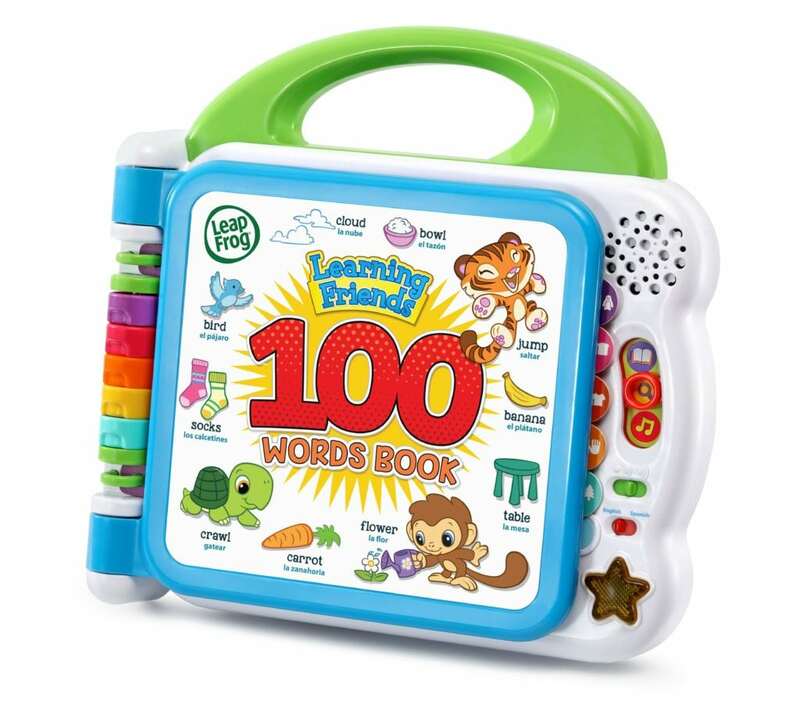 Join animal friends Turtle, Tiger and Monkey as they explore new vocabulary in the Learning Friends 100 Words Book™. Explore the colorful pages and touch each picture to hear the animals say toddler-appropriate words along with exciting facts and sound effects. For an immersive language experience, slide the language switch to hear the words, songs and instructions in Spanish. Touch the pictures to hear silly sound effects in Fun Sounds mode or press the light-up star button to hear two learning songs. Discover new vocabulary with cute learning friends.